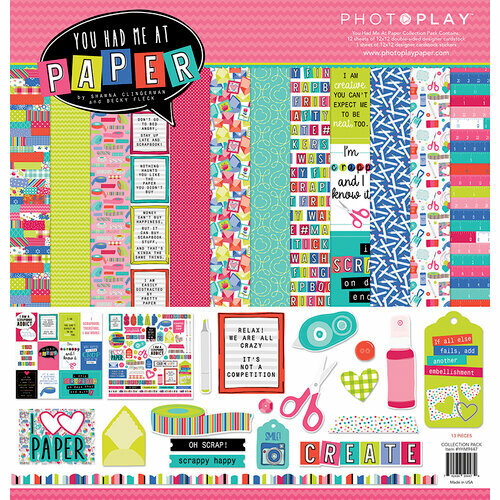 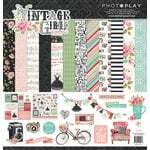 Make an album about your favorite hobby with the 12" x 12" Collection Pack from the You Had Me At Paper Collection by Photo Play Paper. 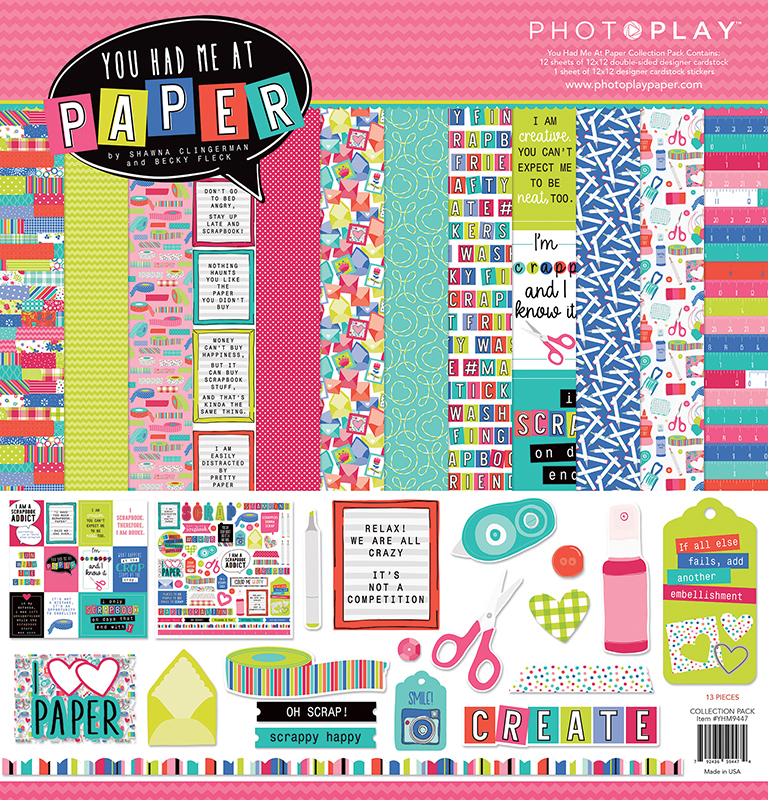 There are 12 sheets of double sided paper and 1 sheet of cardstock stickers included that have patterns of craft supplies like glue, scissors, tape and more. 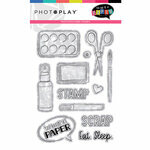 The papers are made in the USA and designed by Becky Fleck and Shanna Clingerman.